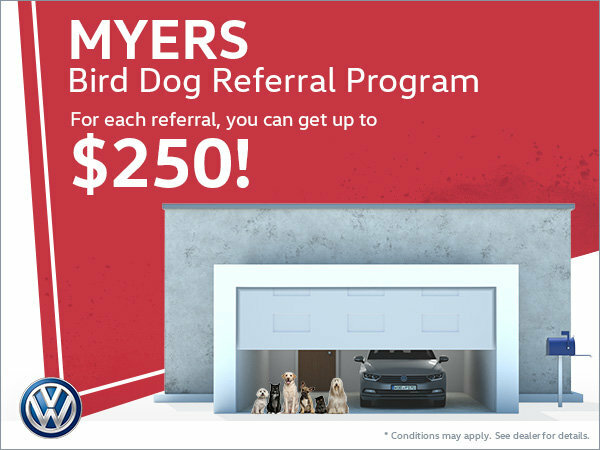 For each friend (bird) referred at Myers Volkswagen, you will receive up to $250 in cash! The more friends you refer, the more money you'll receive! Friendship pays off, thanks to Myers Volkswagen!